This little device is get to carry on your keyring. 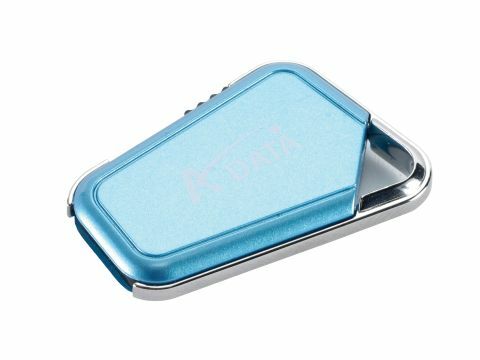 The latest in a neat line of shrinking storage devices, this little chap from Adata fits an impressive 2GB of space into its diminutive shell. Hook it up to a lanyard or stick it on your keyring and you'll barely know it's there. It's also ReadyBoost certified, so you can increase your PC's Vista system performance with it when the old memory count drops to chugtastic levels. But perhaps the neatest thing is the slide-out USB connector which helps to keep the size down.